We have an 11 year old who really does not like loud noises - he was diagnosed as having Aspergers [amidst a few other things] a while ago, now and I am lead to believe that the dislike for loud, startling or just unexpected noises are part and parcel of that. As he has gotten older, the noises do not seem to bother him quite as much - he would put his fingers in his ears just walking down the street if the traffic was too loud, or at concerts or events that were just too loud for him and that made him feel uncomfortable. There are fixes to help drown out the noise, like noise cutting full-head headphones, but these tend to cut the noise right out all-together or give a very minimal amount of sound, leaving the wearer shouting to speak or not listening when spoken to, which in itself can be just as frustrating as the noise you were trying to cut out in the first instance! However! 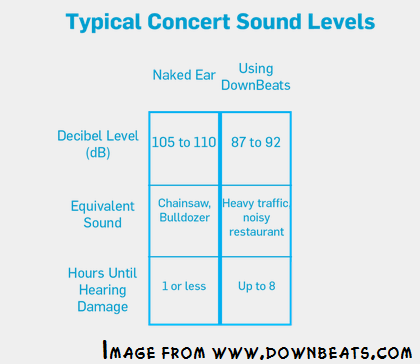 I recently discovered DownBeats, which are noise reducing ear buds that "cut the noise" and "keep the sound" - just what we need when taking our 11 year old out to events, concerts and noisy places where he might prefer to cut out some noise and carry on as normal, rather than walk around with his fingers in his ears! DownBeats are so easy to use - they look just like a pair of earbuds, but without all the annoying wires and shinanigans and they come in a little container that clips to your belt, keychain or bag, which means you can take them anywhere and they are ready to go whenever you need them - even unexpectedly! They slip into the ear and filter sounds [so that they aren't blocking noise completely] by bringing down decibels [that could be potentially harmful to your ears] down to a level where by you can sustain comfortable listening, for a longer period of time, before the likelihood of suffering some permenant or long-term damage can occur! Reducing noise by 18 decibels overall, these little gems are a GREAT stocking stuffer for the whole family - keep your hearing at its best, for longer, what a wonderful idea! 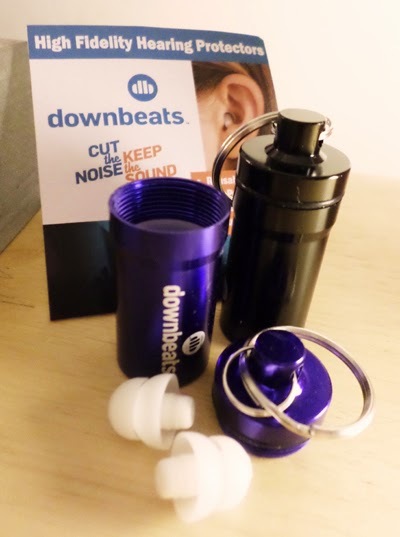 If you want to find out more about DownBeats then why not head on over to their website, Facebook or Twitter @DownBeats - you can even follow on Instagram, also @DownBeats, to stay up to date with the latest information and news! What are you waiting for!? DownBeats swings effortlessly into this years Holiday Gift Guide #MGBHGG and we would definitely go back for more! - Disclaimer: I was provided with DownBeats to present this post. All comments and opinions are my own and your views may differ from mine. Thank you!